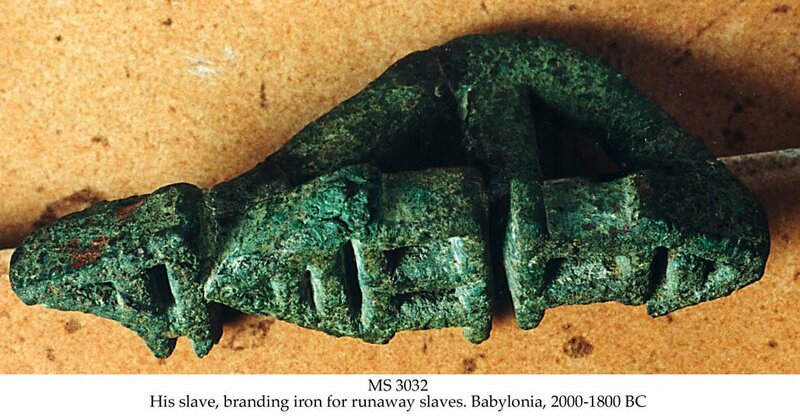 Description	 MS in Sumerian on bronze, Sumer, 2600-2300 BC, 1 branding iron, 4,2x7,8x3,6 cm, 1 cuneiform script. Commentary	 This chilling object is unique. Although branding of slaves is attested to in the texts, nobody has ever discovered a brand. It has clearly been used.